Chuck, my across the path garden neighbor, is a smart guy. He figured out that as a gardener, you’re going to be more popular if you show up with your hands full of flowers than zucchini. So every year, he plants a long fence full of sweet peas on the east side of his garden. They come up during the late winter and bloom until it gets really hot, every shade of violet and blue, white, rosy and salmon pink, crimson, and this year a cross-pollinated volunteer of deep purple with crimson-ruffled edges. The breeze from that side of the garden is intoxicating. 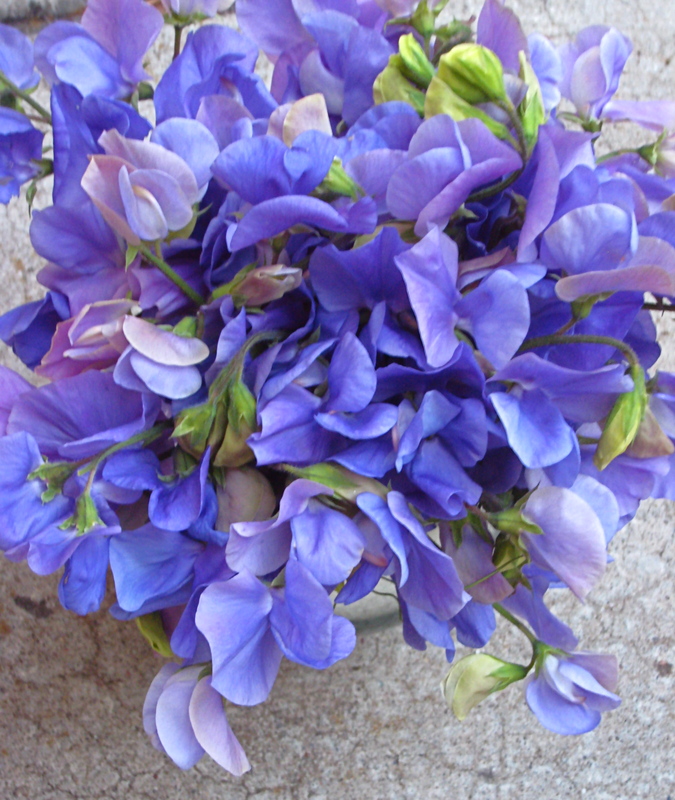 Chuck takes armloads of sweet peas to work, to his friends, and home to his wife, and sometimes, if I’m at the garden at the right time, he hands me a big blowsy fragrant gorgeous bunch. Sweet! Beautiful peas. Save July 3 for a 4th of July BBQ. Lovely pic of the Sweet Pea flowers, but the word picture was just great as well! Thanks for sharing! !